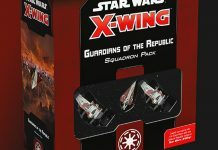 Fantasy Flight Games preview the Vulture-class Droid Fighter Expansion Pack for X-Wing. 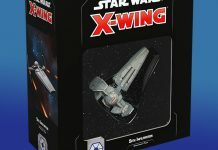 Programmed for Destruction: There is a clear distinction between two different classes of starfighters within Separatist Alliance squadrons. On the one hand, the faction’s leaders take to battle in powerful and heavily armored starfighters, such as the Belbullab-22 and Sith Infiltrator. On the other hand, you’ll find the weak droid starfighters that make up the vast majority of the Separatist forces. 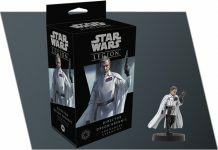 Expected to take the brunt of enemy fire, these droid fighters can play a number of roles in your squadron. 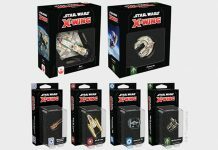 Cheaply produced on an unprecedented scale, Vulture-class droid fighters are most commonly encountered in large numbers, and the Vulture-class Droid Fighter Expansion Pack gives you two options for building your squadron around inexpensive fighters. 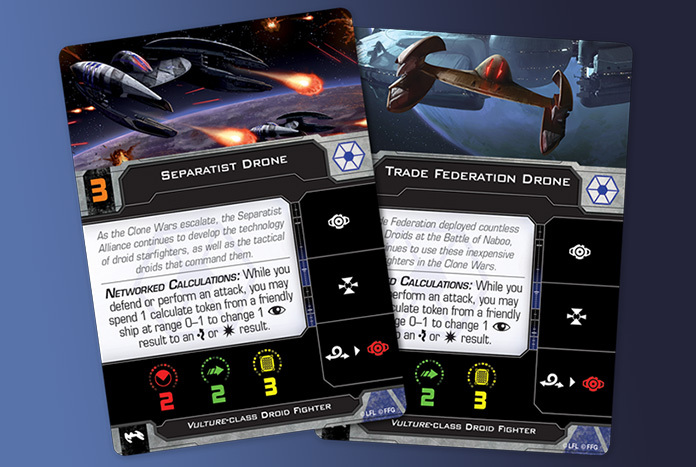 With average initiative, a group of Separatist Drones can react to some enemy movements and make good use of the information relayed to them from the tactical droids carried on command ships. 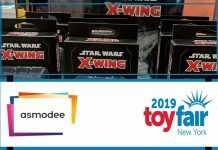 Read more here, and pre-order the Vulture-class Droid Fighter Expansion Pack (SWZ31) from your local game store or direct from the Fantasy Flight Games website here (avaibale later in Q1 2019) — happy gaming!